For quite some time I’ve been thinking about whether we should go on a family holiday to Center Parcs. The reason that we’ve never done it before is a niggling doubt at the back of my mind, it just seems a lot of money for a short break. Plus, isn’t it just a fake version of what we do for real? I’ve never seen the attraction of paying a lot to spend time outdoors when we can do it so easily for free. 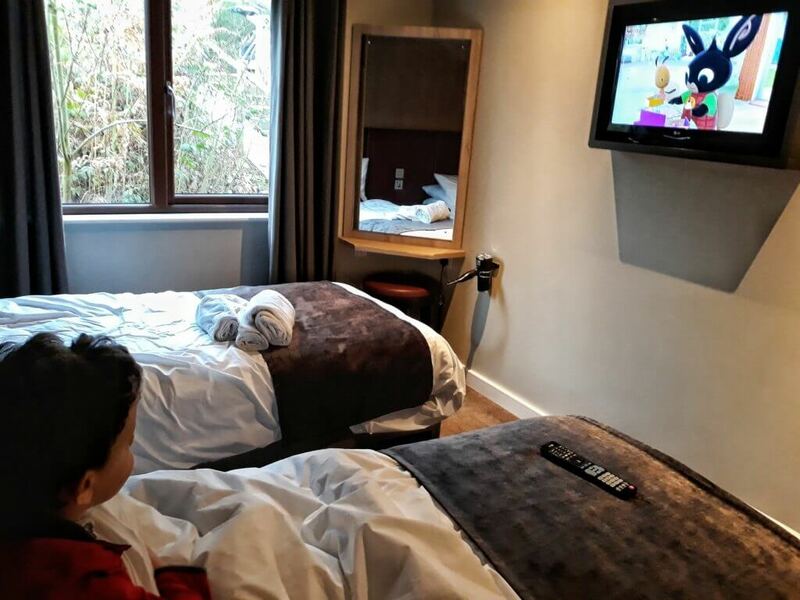 All that aside, I always knew that Finn would love it, so we decided to give it a go and find out firsthand whether Center Parcs is worth the money. 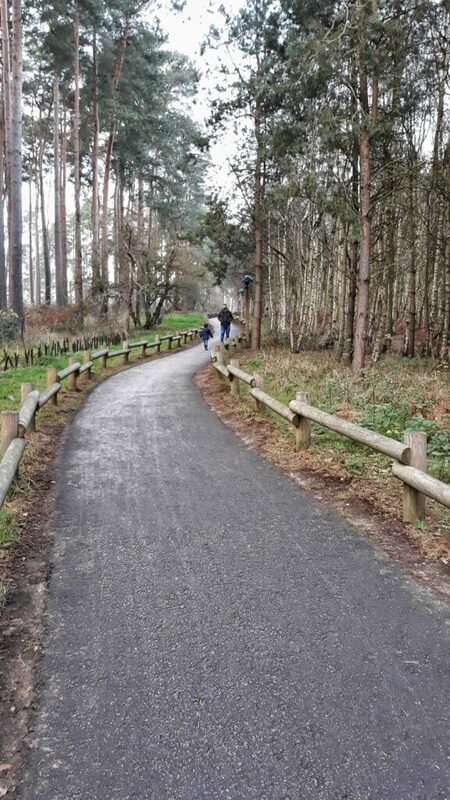 The whole concept of Center Parcs “…is to provide short breaks in the forest, bringing families together and back to nature with high quality accommodation, a range of outstanding leisure facilities…and activities, all set within a protected and enhanced woodland environment”. In order to answer the question whether Center Parcs is worth the money, it really depends on how much it costs you. As we’re both self employed and Finn isn’t yet at school, we could take advantage of a cheaper break. 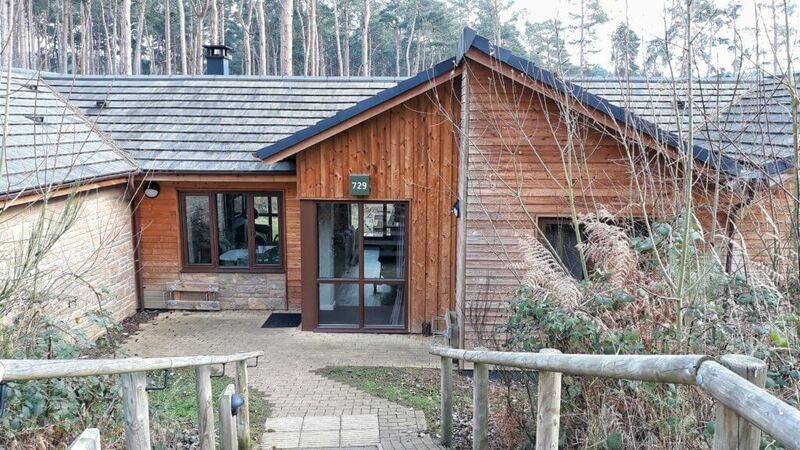 To give you an idea, our 4 night stay in a two bedroom executive lodge at Woburn Forest cost £329, whereas if we took the same break in August it would cost £1299. 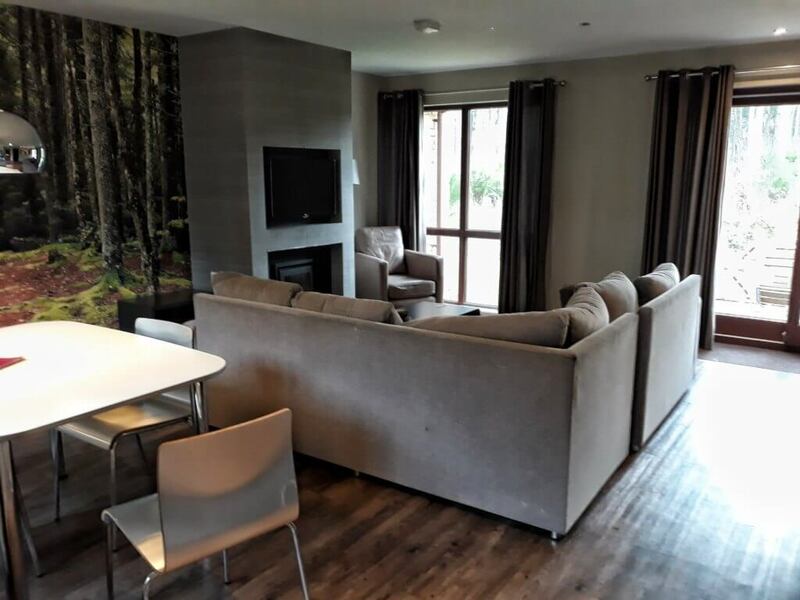 The accommodation at Center Parcs is first class and it was well worth the price we paid. We stayed in lodge 729, which was in the central area at Woburn Forest. I paid a little bit extra to upgrade from a Woodland Lodge (the entry level standard) to an Executive Lodge and I’m glad we did. 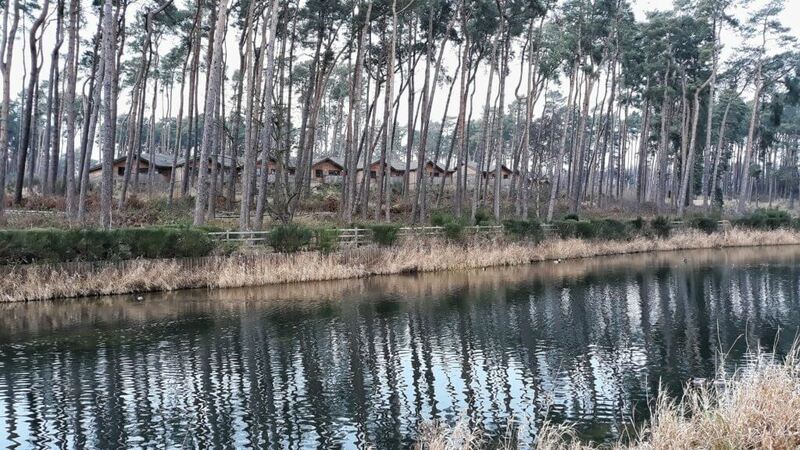 Both Woodland and Executive Lodges have the same basic features. Both have a TV and DVD player, a log burner, free wifi, fully equipped kitchen including dishwasher and microwave, a private patio with brick bbq stand and a cot and high chair. 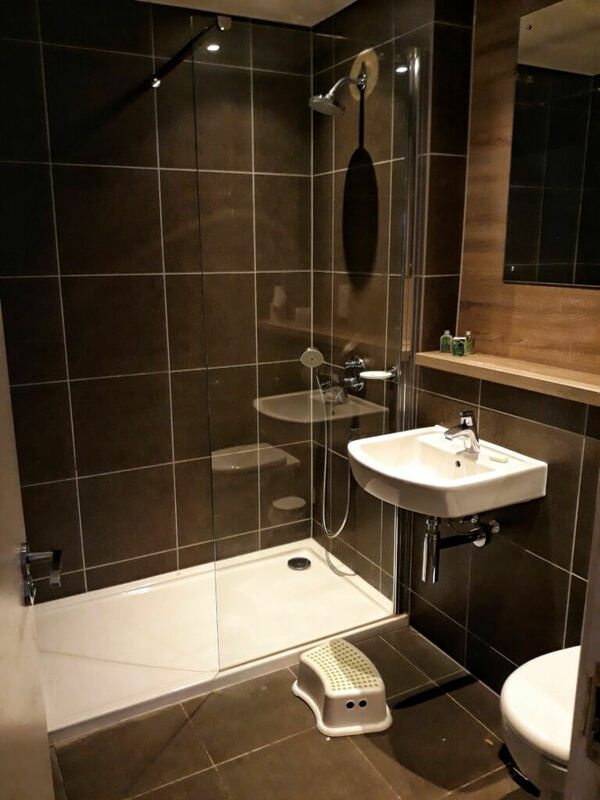 In addition, Executive Lodges have ensuite bathrooms, a hydrobath, a daily housekeeping service, wine cooler and coffee machine, as well as a TV and hairdryer in all bedrooms. The three and four bedroom Executive Lodges have extra features, such as saunas and games rooms. It was a massive treat for Finn to have a TV in his bedroom! I was very impressed with our lodge. 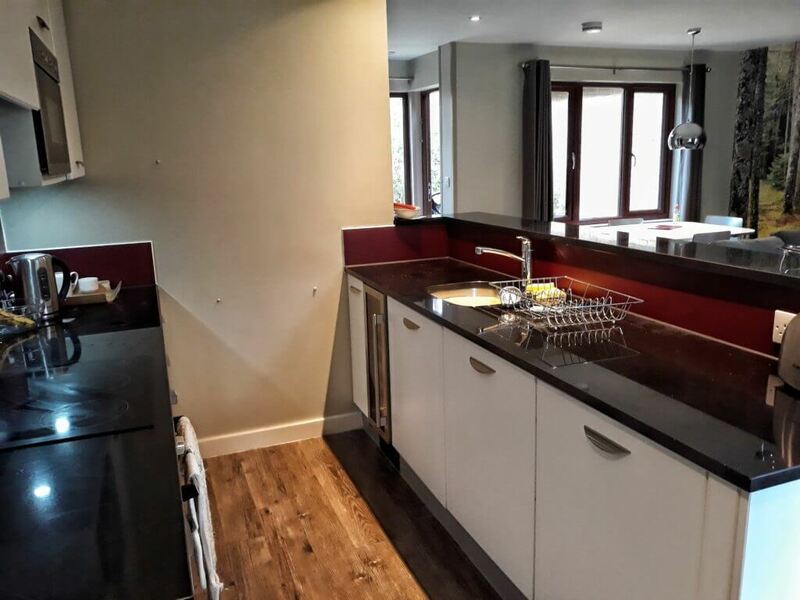 The kitchen featured a range of utensils, crockery, pans etc, which made self catering really easy. There was a handy freezer compartment in the fridge and I’m not going to lie, I made good use of the wine cooler! A cloth, sponge and tea towel is provided, as well as a few dishwasher tablets and a sachet of washing up liquid. A small amount of teabags and coffee was also included, although if you’re anything like us, you’ll need more to get you through the week. I was glad that we had two en-suite bathrooms as it made life easier, not least as it meant two towel rails for drying all the swimming kit. We had one en suite with a hydrobath, and this one with a shower. We didn’t use the patio, but it’s really nice to have your own private outdoor space, and I’m sure we would have loved to use it if we’d have visited in the summer. We did, however, love the log burner. We bought some logs and it made our lodge very cosy in the evenings. One thing that Center Parcs does well is customer service. It’s not a cheap holiday, so a few personal touches are very welcome. We received a call on the first night to check that we were happy and the housekeeping service was fantastic and made the upgrade to an Executive Lodge worthwhile. They called round every morning to see if we wanted the service and were always happy to come back at a more convenient time. They took out the rubbish and recycling, changed the towels, made beds and had a quick tidy up. One day we came back to find Finn’s cuddly toy reading a book on his bed, while Ollie’s toy dog was snuggled in his Grobag. As I said, small touches like this are greatly appreciated and help to make Center Parcs feel worth the money. The only activity that is included in the holiday price at Center Parcs is swimming, although there are also play areas to use. 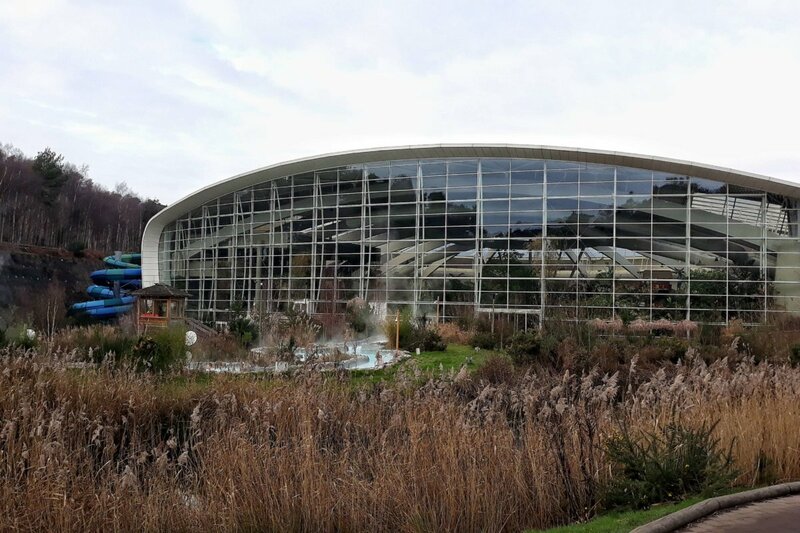 Each Center Parcs location features a Subtropical Swimming Paradise that is open all day and is free for residents. As you can imagine, we made good use of this during our stay! Although you can’t check in to your accommodation until 3 o’clock on arrival day, you can use the facilities from 10am. Likewise, when leaving you have to check out by 10, but can use the facilities until midnight on the day of departure. We went swimming four times, and found it perfect for the whole family. I didn’t take any photos inside as I don’t have a waterproof camera, plus I was trying to relax and enjoy my family time, without worrying about getting the kids to pose! At Woburn Forest, the Subtropical Swimming Paradise features a lazy river (Ollie’s favourite), outdoor rapids (my fave! ), a toddler pool and a pirate ship play area (which Finn loved), as well as three flumes (Luke’s highlight). I went on all the flumes and can say that they were all great fun-even if I screamed like a girl! We did pay for an extra two activities: tenpin bowling and adventure golf, which cost £42 in total.The bowling was good fun, and as you pay for time, rather than frames, it worked out good value for us as we managed a game and a half. The adventure golf was less successful. The adventure golf was one of two activities that we paid for. We found ourselves sandwiched between a larger group and several smaller groups, hence we had to queue for every hole and then hurry to get out of the way of others behind us. For £20 it was a poor experience and I wouldn’t do it again. I was hoping to be able to take our time, take photos and savour the experience, unfortunately this didn’t happen. Center Parcs Woburn Forest is a lovely setting, we all had a lot of fun and I can absolutely see why it’s such a popular choice. It’s absolutely set up to make life easy for families. There’s lots to keep the kids entertained: cots and high chairs in every lodge and play areas in every restaurant/bar. There’s even creches and babysitting available, not to mention plenty of baby changing and feeding rooms, plus microwaves and baby food stations throughout the complex. 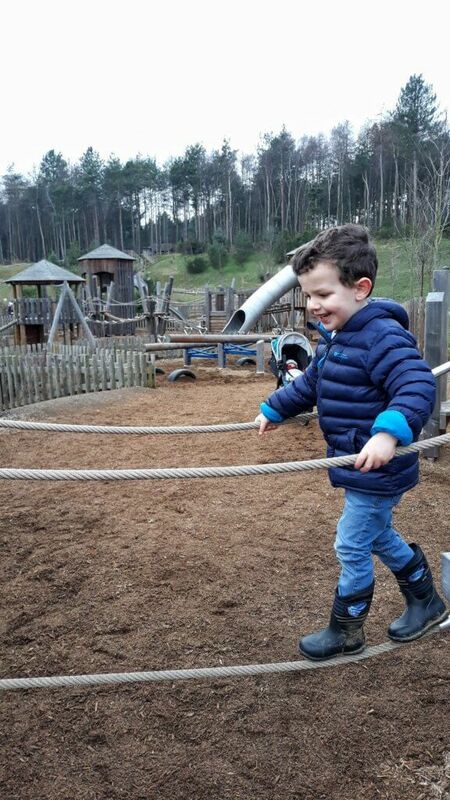 A Center Parcs is a great way to spend time outdoors as a family. With the swimming and walking around the site, it was a great way to increase our activity levels-I even managed two runs while we were there! After the excesses of Christmas, it was brilliant to get some fresh air and enjoy some quality time together. We ended each day absolutely exhausted, to prove this the baby slept for about 10 hours after we got home! In my opinion, Center Parcs is worth the money, but (and it’s a big but!) only if you get a good deal. I’d be disappointed if I’d paid over £1k for this break. Having said that, I see why it works for certain families. For example, it’s ideal if you want a multi generational holiday with a big group. Center Parcs also have some dog friendly accommodation if you want to enjoy a break with your canine pal. 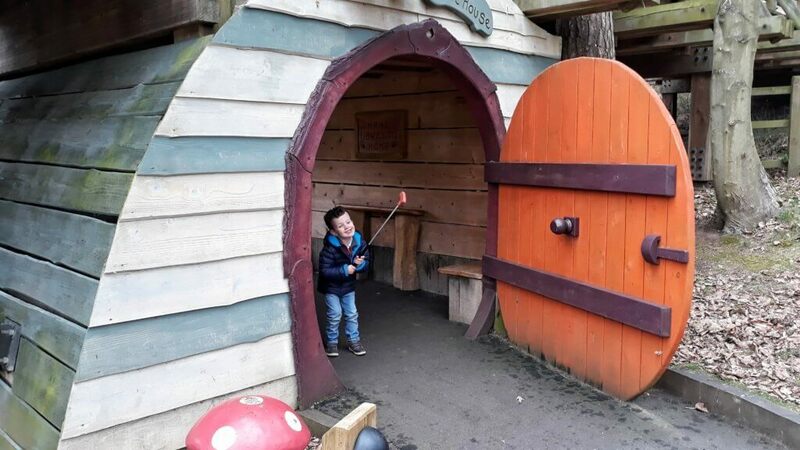 I can also see why it works for families who need accessible lodges and activities, as I imagine planning a holiday to suit a range of needs can be a challenge. Looking for more tips for Center Parcs? 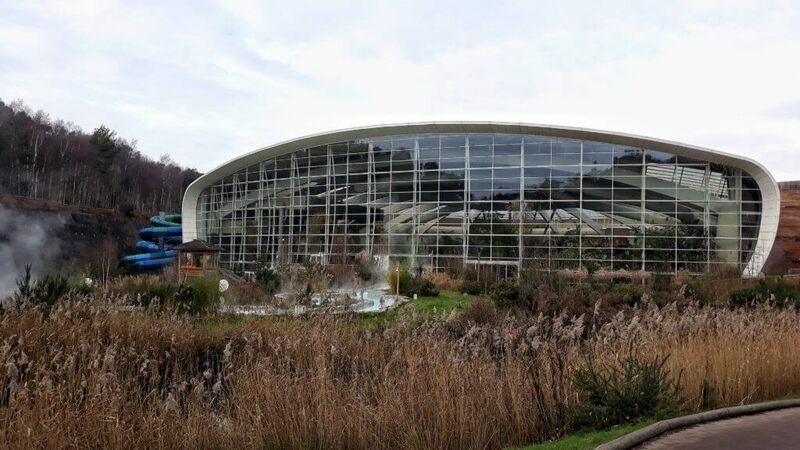 Have you been to Center Parcs? What do you think-is it worth the money? Great post. I spent a few days at a Center Parcs a few years back with my boyfriends family and we had a lovely time. I agree with you though. I wouldn’t be happy spending over 1k but if you can get a good deal then it is well worth it! It sounds like you had a lovely time! I’ve actually wanted to go to Centre Parcs myself! This is a really interesting insight into it. I’ve been looking before and as you say on the winter months it is fairly affordable but I don’t think I could justify paying £1000’s in the summer when you could go away and see something completely different for that cost and obviously, guaranteed weather. Great honesty! I’ve never been for the reason that it seems very expensive. I think I could be tempted for a winter break to keep the cost down but it seems that the activities can really add up too. The lodges look great but I would also expect the logs to be free! Thanks for posting this review! Loved this post as me and the Husband are debating a Center Parcs holiday but unsure if it’s somewhere we should go as we will have a 3 month baby. So I’d love your thoughts. It is one of the benefits of Center Parcs that it is so baby friendly. Our youngest is 5 months old and everything was great, he loved his first swimming experience! Unfortunately being a teacher means that I only have school holidays off which really boosts the price of any holiday although when you can get a two week holiday in Greece for 1k Centre Parcs has never really been an option. I can see how it would be a good holiday if you can go in term time and get a good deal! Ahhh, really interesting viewpoint – You see I love the property you stayed in the concept is brilliant, BUT I’m more inclined by an Air B’n’B and making my own adventures. However, the flipside is that we aren’t yet parents, so I think my viewpoint would change then. Plus, as you say, getting a good deal is a huge part of the experience too! When I lived in Nottingham, I went to a Center Parcs once. I enjoyed it, but I felt it was rather a lot of money. The facilities were great, but it was the quiet, natural experience I was hoping for. Now I live in the Netherlands, we visit Landal Green Parks a lot. They are similar company and seem to have a monopoly over Center Parcs, here in the Netherlands. They are pretty good, but again pricey. Your stay at CenterParcs kinda reminds me of our Disneyland Paris holiday at the end of last August in terms of accommodation and customer service. Your post comes in handy as a new Center Parcs is set to open this July in Ireland, the first in the country, and now I know what to expect. A gift voucher might be a good idea to suggest to family next Chistmas! Great review and completely agree. We’ve been twice with our two before the school timetable began, and we loved it. It made enjoying the outdoors all very easy (plus I loved the spa too) but now we have limited time to go and huge price increases, we won’t be spending our money there as it’s too much. I think I will investigate Holland though as you get a small adventure overseas plus it is supposed to be much better value.